The Australian Alumni International Scholarship recognises a connection international students have to Australian study. It is open to students from all nationalities who have previously completed an education program in Australia. The scholarship offers a 20% (percent) reduction in tuition fees for the duration of your course at ECU. Scholarship recipients will receive financial assistance of up to 20% (percent) of their ECU tuition fees for the duration of the ECU component of their study. Whilst ECU continues to offer this scholarship all eligible applicants will be awarded a scholarship. 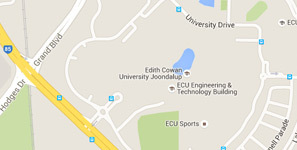 intend to study at ECU Joondalup, ECU Mount Lawley, or ECU South West (Bunbury). The scholarship recipient must be continuously enrolled in their original course of application and be in continuous good standing academically and financially. The scholarship funds can only be used for tuition fees and cannot be used for any other student expense. The scholarship recipient must pay their tuition fees within the stipulated payment deadlines, failure to do so may (in ECU's absolute discretion) negate the scholarship and the tuition fee structure will revert to full-fee international tuition.